Caesar has been adopted, but Friends of Pets will continue to help support his care and good quality of life. 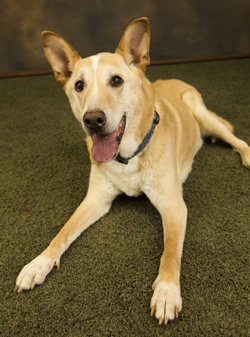 He is a gentlemanly and sweet boy who appreciates a comfortable retirement home without stairs. Portrait by David Jensen Photography. May 28, 2018 – Caesar has crossed the Rainbow Bridge. Our deepest thanks to the veterinarian and family who adopted him in hospice care, and to the sanctuary sponsors who helped assist in his comfort until it was time for him to leave us.